Asia’s biggest dance and music festival is all set to rock Goa’s Vagator beach once again this December. For the last couple of years, Sunburn, Goa, has added unprecedented glamour to Indian nightlife and put it on the international party scene. Youngsters from all over the country and abroad are already gearing up for Sunburn which is undoubtedly the largest party in the country. With music performances beginning early in the evening and going on for hours into the night, partying is the sole karma of anyone at Sunburn. 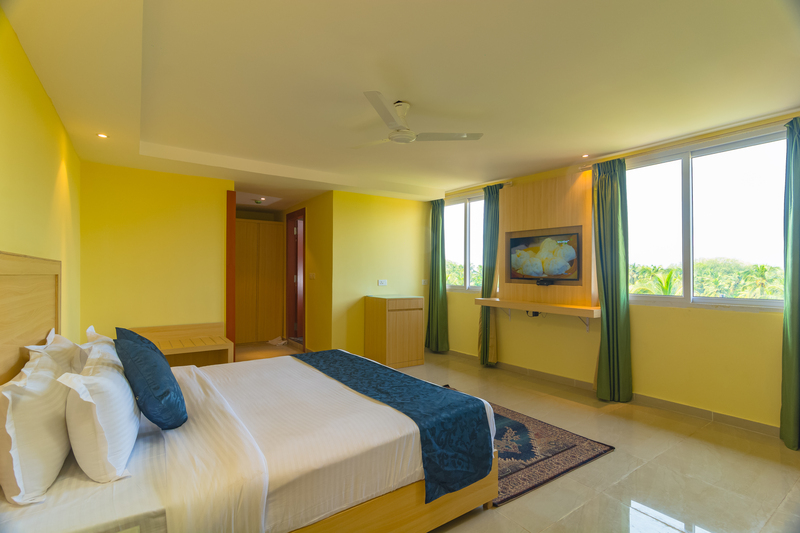 If you want peaceful ambience then book your rooms at Candolim beach hotel. If the music and parties are not enough and you are wondering what to do during the day, remember that you’re in Goa! The city has the most beautiful architecture and a vibrant heritage. You can spend your day touring the churches and getting to know the city better. Also, why not hire a scooter and unravel the beauty of Goa beyond the major tourist spots? When in Goa, one of the most gratifying experiences is food. While a number of restaurants come to mind, there are a few delicacies that you must not miss in Goa. If you’re looking to continue your party, Goa also has some great budget pubs. Another fascinating experience in Candolim beach hotel is shopping. The markets are flooded with junk jewelry, Goan handicrafts, paintings and a lot more during the festival. The Mapusa Friday market is an attraction in itself and everything from buttons to antiques can be bought here. The beach itself has plenty of activities to keep you engaged throughout the day. A variety of water sports and other fun-filled games and activities are organized during the fest, so let the spirit of celebration sink in! Planning your trip for festivals in Goa. It is the right time to book for best stay at Candolim beach hotel from where you can go for the sunburn and other beach parities. Book as soon as possible.